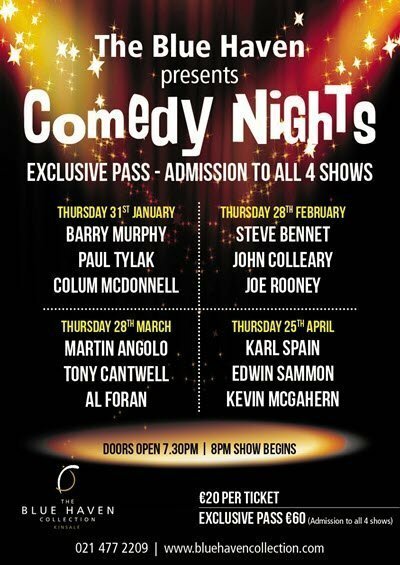 Tickets €20 per show / Exclusive Ticket €60 for the 4 shows. Three top acts each night. Tickets on sale at The Blue Haven or call 021-4772209.